For affordable drain cleaning service that utilizes the most innovative solutions available today, you can rely on NuFlow Oklahoma. Our expert technicians are skilled at accurately diagnosing drain problems and applying the right techniques for effective results at the best rates. We’re proud to bring this powerful new technology to all our residential and business customers. NuFlow Oklahoma has tools specifically designed to handle any drain cleaning need. For everyday clogs caused by excess paper products, foreign objects or hair buildup, our technician may recommend drain cabling service. This time-tested solution, often referred to as a snaking tool because of its unique shape, works well at breaking up small knots of waste material and extracting them. To complete the drain cabling process, our technician will insert a long, steel cable with a rotary tip into the pipe, then work the tip down until it reaches the blockage. The tool is cranked into the clog, where it separates the material and grips anything that can’t be easily washed out. We then extract the cable, bringing the clog out with it so the debris can be easily discarded. 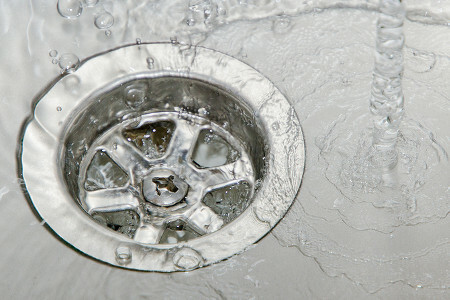 For more comprehensive drain cleaning service, NuFlow Oklahoma also has innovative hydro jetting service. This advanced system not only breaks up even the most stubborn clogs but also removes pipe buildup that is causing slow drains and recurring backups. Hydro jetting is performed using a water house with a precision-engineered nozzle that emits powerful jets of water in every direction. Because the water pressure can exceed 4000 PSI, it is important that it be used correctly to avoid accidental damage to pipes during the cleaning process. Our expert technicians at NuFlow Oklahoma are fully trained and certified to use this space-age technology effectively and safely. The hydro jetting tool is introduced into the pipe through an existing opening called a cleanout port built into it specifically for cleaning and clog removal. The technician then works the nozzle carefully through the pipe, thoroughly removing clogs, tree roots, and mineral buildup from every inch of pipe, including elbows and joints. The water pulverizes the debris into tiny particles that easily wash away through the sewer line. There is no messy debris to dispose of and little to no clean up needed. Hydro jetting is an essential part of your annual maintenance schedule that often gets forgotten. Hydro jetting removes corrosion that slowly damages your pipe, eventually leading to failure and costly repairs. It also ensures that pipes remain clean and sanitary, eliminating most sewer backups and bacterial contamination from sewer lines. Most importantly in the Oklahoma area, it clears away tree roots that infiltrate the pipe during dry spells, blocking sewer flow and fracturing the pipe. This easy, affordable drain cleaning process takes just a couple of hours and can extend the life of your pipe by years. NuFlow Oklahoma offers proven, effective, drain cleaning service at affordable rates. We are experts at removing obstructions during a plumbing emergency or clearing away corrosive buildup that is slowly and quietly destroying your sewer line. We have solutions for any need and budget. Call us today for more information and learn about how we can help you.